Keep a batch of this in the fridge for a quick, fibre-rich snack or to top Greek yogurt with berries for breakfast. 1. Preheat oven to 275ᵒF (140ᵒC). Line one large or two smaller rimmed baking sheets with parchment paper. 2. In a large bowl, toss together oats, sunflower seeds, flaxseeds, and skim milk powder. 3. In a microwave-safe glass measuring cup or bowl, combine canola oil and honey. Microwave for about 45 seconds to warm. Stir to mix well. Pour over oats and toss well to combine. 4. Spread mixture on baking sheet and bake for 25 minutes. 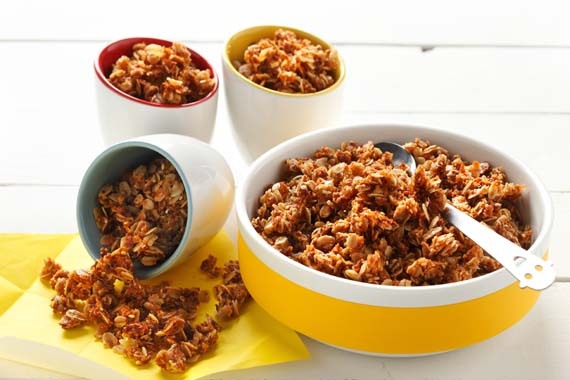 Remove from oven, toss granola, and add coconut and almonds. Continue baking for 20 minutes. Turn off oven. Leave granola in the oven while oven cools, for about 1 hour. 5. 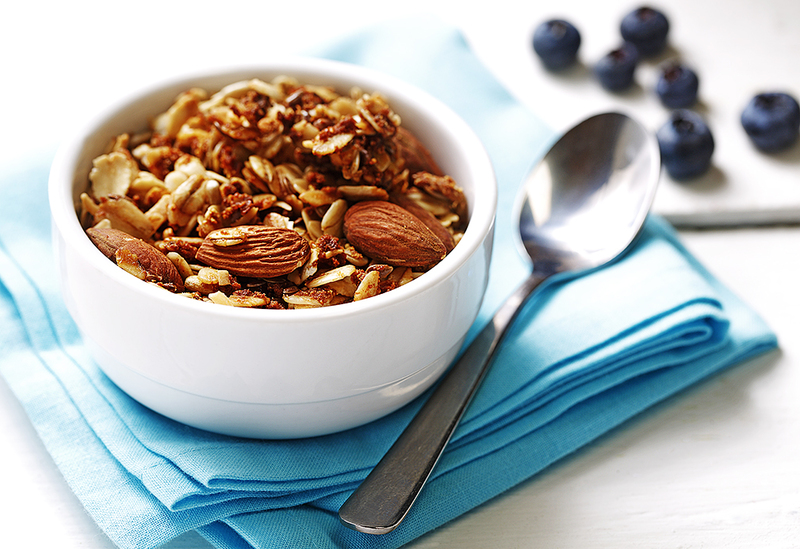 Store granola in an airtight container in the fridge. 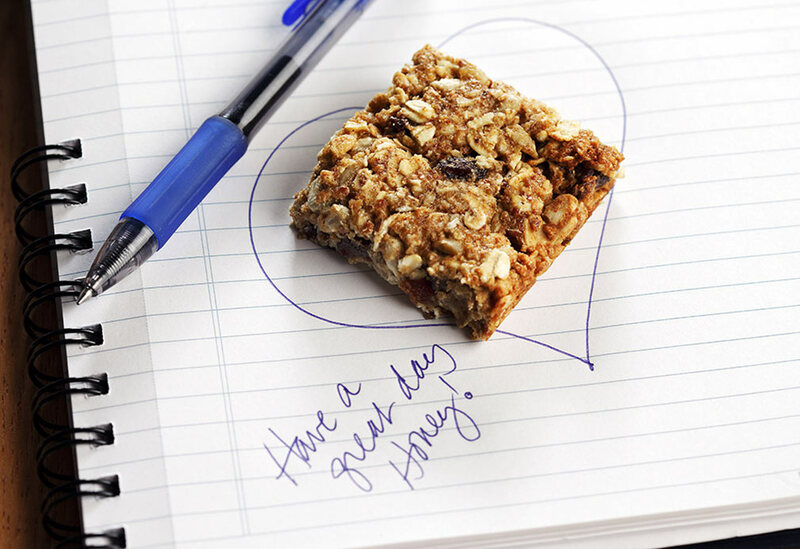 A wholesome snack for school, work or home. 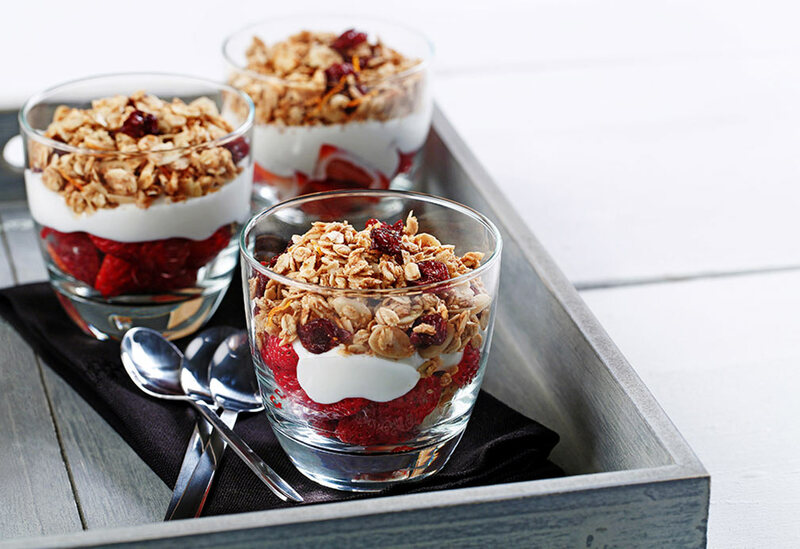 A homemade granola like this is nice with just milk or to use as a topping on yogurt!